New Year’s Eve isn’t typically thought of as a consumer-driven holiday. Unless you run a bar or restaurant, odds are that you either close up early the night of Dec. 31, or you watch revelers pass by your store without so much as a glance inside. While celebrations are an unmistakable part of New year’s Eve, that doesn’t mean that small-business owners need to throw in the towel and give up on what could be a very lucrative night. However, turning New Year’s into something that works for your business is going to take a little savvy. Break out your party hats, your streamers and your copy of Auld Lang Syne to draw customers in, but keep your sales talents in the front of your mind to close deals. 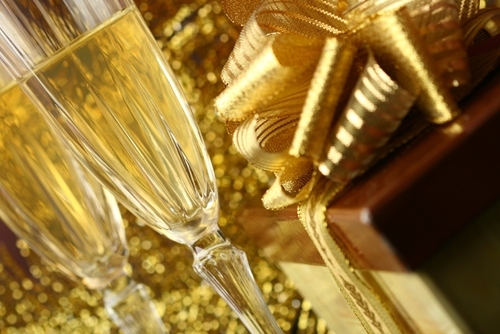 Check out these three ways to increase store traffic on New Year’s Eve. Even if you’ve done everything perfectly, it’s a simple fact that no customer is going to want to shop at your store when the ball is about to drop at midnight. Their eyes will be glued to TV screens or to a glass of champagne, which is why small businesses need to give up the idea of a U.S. New Year’s Eve and go international instead. You’ve seen the clips of cities around the world celebrating New Year’s when their clocks strike 12, and you should throw your own themed parties in the store to draw customers in. Countries like China and Japan are about 12 hours ahead of many U.S. cities, so inviting customers to come celebrate an international New Year’s could be a great way to draw in traffic well before people’s minds shift to party mode. It’s an unfortunate fact about New Year’s Eve that many revelers take advantage of the goodwill of the night to over-indulge in alcohol. While there’s only so much any small business can do to keep customers safe, New Year’s might be a great opportunity to market your brand to a wider audience. Organizations like Safe Ride America specialize in offering cab rides to people who would put themselves and others at danger behind the wheel. Partnering with a similar company in your area or even renting out several taxis for the night can be a great way to promote your brand as socially responsible. Just make sure that you get your company’s name out there – wrap the cars in a decal or hang up flyers inside so New Year’s Eve celebrants know who to thank for getting them home safely. There’s no denying the lure of a free giveaway, and tying your promotional products to the spirit of the holiday can be a great way to get your customers involved before the partying starts. Products like Myron’s New Year Thank You Personalized Cards can remind people that there’s more to the day than drinking – in fact, it might be a good idea for your customers to thank everyone before taking your first sip. You could also go with the tried-and-tested new calendar for a promotional giveaway. Myron’s next year Furry Friends Personalized Wall Calendar is a perfect gift for customers with a soft spot for animals – and who doesn’t like waking up to cute animals every day anyway? Don’t just turn down the lights when New year’s Even approaches – with a bit of clever marketing, you can make the last day of this year into a very profitable one.